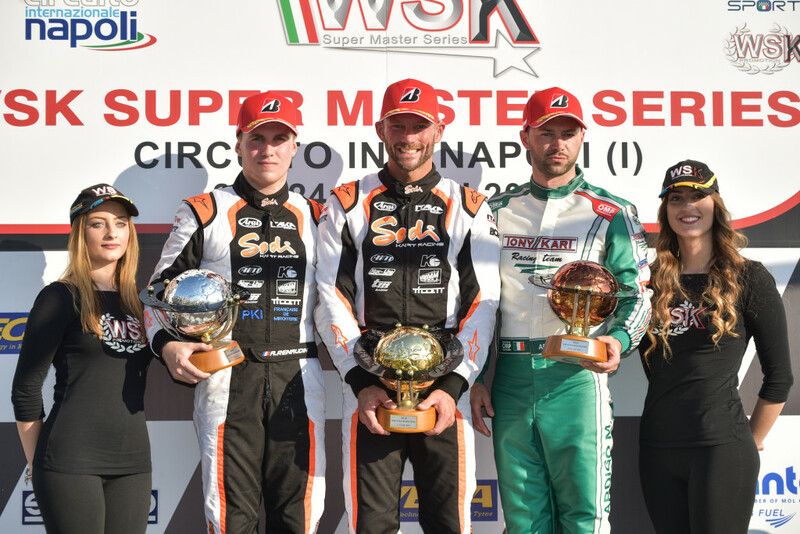 The excellent performances that have marked the start of Sodikart’s 2019 season in international competition were brilliantly confirmed at the fourth and final WSK Super Master Series round at the Sarno circuit. 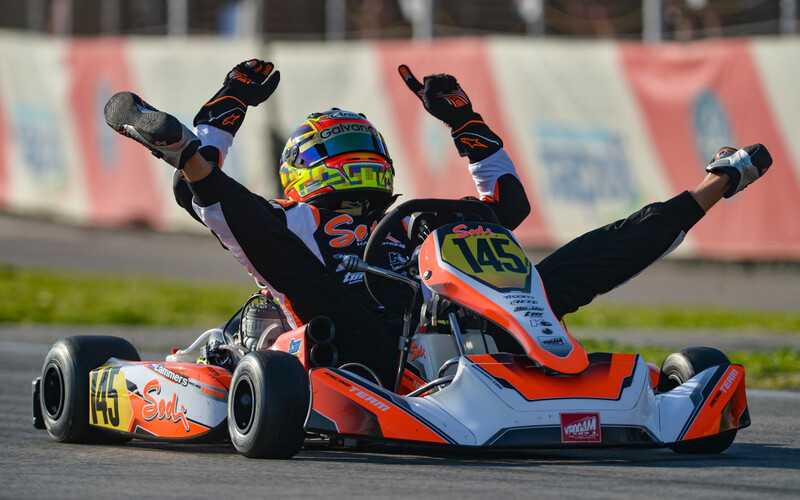 With a formidable Final victory, Bas Lammers also won the Championship while Adrien Renaudin completed the celebration with 2nd place in a memorable double for the Sodi Racing Team. 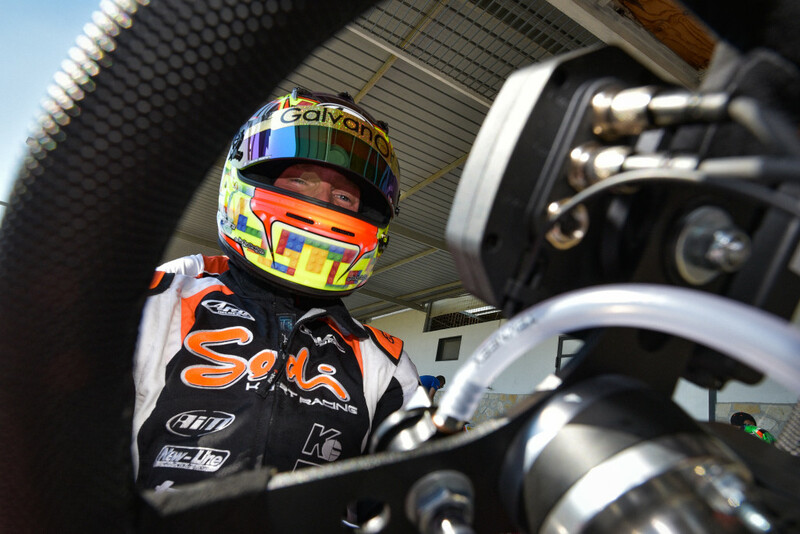 Competitive on all circuits, the Sodikart chassis demonstrated the extent of their potential on the fast circuit of Sarno while the thermometer showed high temperatures. The three official drivers of the French brand posted a more and more convincing level of performance. 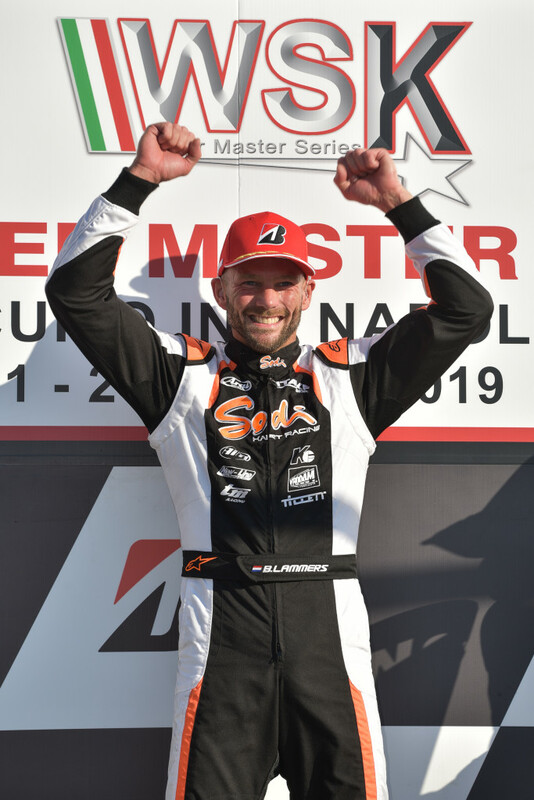 Only a few racing incidents slowed the progress of Adrien Renaudin and Anthony Abbasse while Bas Lammers flew to victory. Starting well with his 5th fastest time, Anthony Abbasse sustained a very good pace until a rival forced him off the track at the beginning of his Prefinal. He then had to settle for 8th in the Final. Adrien Renaudin was forced to retire in his first heat and found himself 21st on Saturday night. He then posted the fastest lap of Prefinal A by regaining seven places, before returning to the wheel tracks of the 3rd, only 48 thousandths away on the finish line. Bas Lammers followed an upward trajectory and gave his best in the Final stages. Winner of Prefinal B, in the Final he was free to overcome his fastest opponents with his legendary spirit. He finally won by more than 2.5” with the fastest lap in the race. 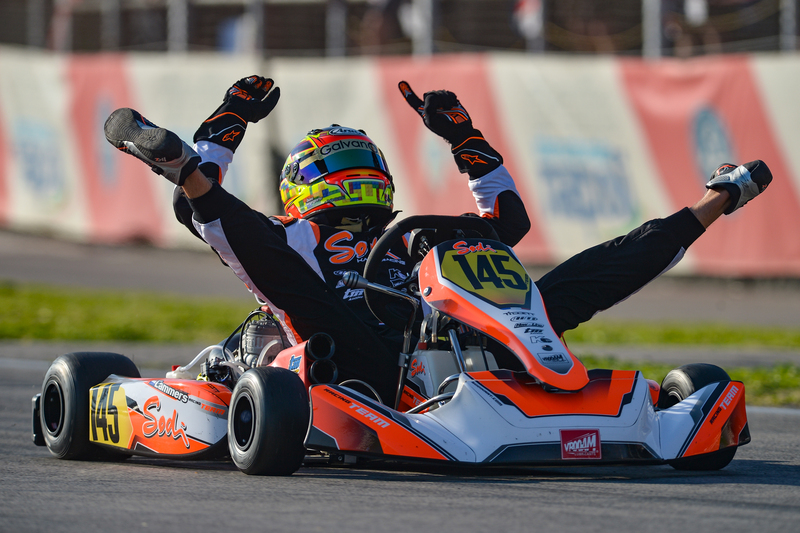 Lammers won the WSK Super Master Series in by a large margin, while Renaudin’s final comeback allowed him to make a Sodikart double. The young hopefuls of the CPB Sport team proved once again their talent, and that of their equipment. Emilien Denner could congratulate himself on his 7th Final position behind the professionals from KZ, while Jean Nomblot continued his progression close to the top 10. 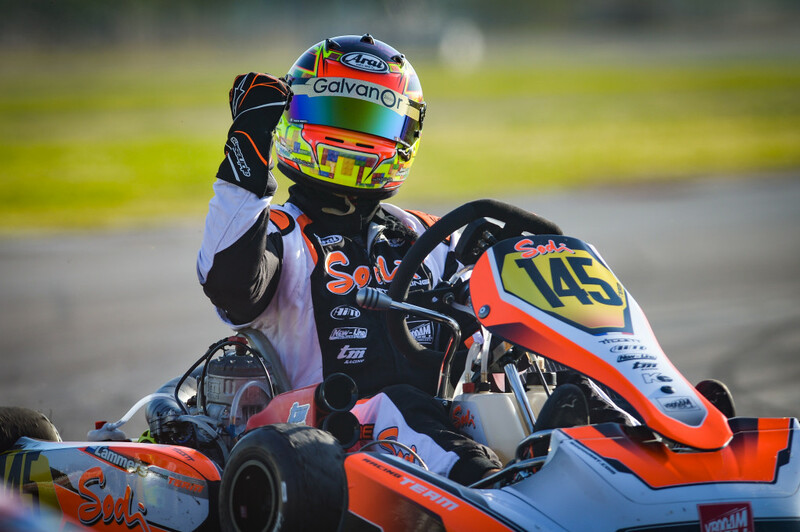 The competition continues at Sarno as the first event of the WSK Euro Series will take place on the Neapolitan circuit next weekend. This will be the occasion to prepare for the decisive meeting of the FIA ​​Karting European Championship – KZ that will conclude at the foot of Vesuvius in mid-June. The contents of baslammers.com website have been written with the greatest possible care. However, baslammers.com cannot guarantee the accuracy or completeness of the information. The content of baslammers.com website therefore is not legally binding. baslammers.com accepts no liability which might arise from the content of its website. The content of the webpage of baslammers.com, the logo, and arms are copyrighted. Nothing on this website and webpages may be reproduced, stored in a retrieval system or transmitted in any form or means, electronic, mechanical, photocopying, recording or otherwise. This is possible only with the prior written consent of baslammers.com.